I was recently asked or help with a problem opening links from emails in Outlook Express. It seemed that clicking web/url links in an email didn’t open the default browser and load the page, it just did nothing. once you have typed the above in hit return key. Click OK in this popup window. You can now close the black window that opened up after Step 2. Open Internet Explorer and click on Tools in the top menu and then select Internet Options from the list. There should be an option in there to check that Internet Explorer is the default browser. If it is ticked, untick it, hit apply then re-tick and hit apply again. If it is not ticked just tick it and hit apply. Either way you need this option ticked but if it’s already ticked you need to untick and then retick it to make sure. You may also need to click on the “Advanced tab” and see if there is an option to reset internet explorer settings at the bottom, if so click that too and hit ok to close the settings pages. Now reboot the computer, once rebooted try opening Internet Explorer first and if it prompts you that it is not the default web browser you should click yes to make it default. 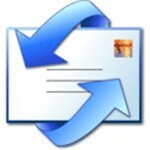 Next open Outlook Express and see if that has solved the problem with the links in emails. What if you want to open in a browser other than IE or Firefox (Opera or Safari, etc). 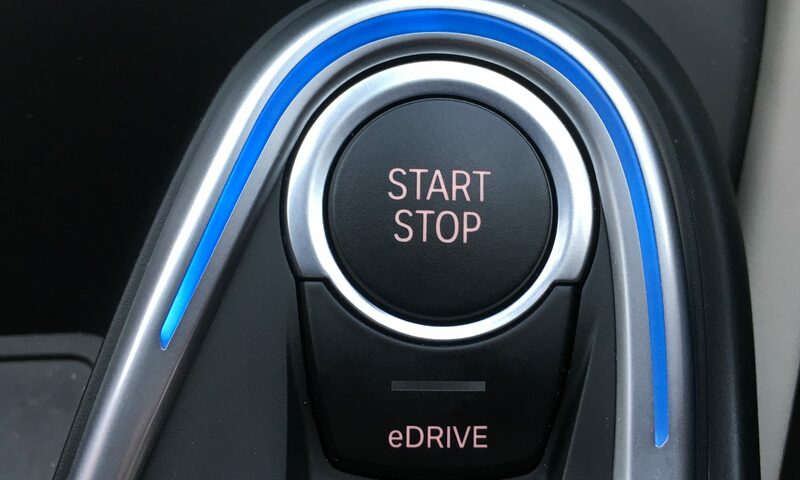 You can acieve the same result as Method 1 by first creating a shortcut to the browser program itself and then modifying this shortcut to include the URL or web page you want. Click on Start, Programs and find the browser you wish to use. Click and drag the icon for the browser to the desktop from the Programs menu whilst holding down the CTRL key. You should now have a shortcut to the browser on your desktop. 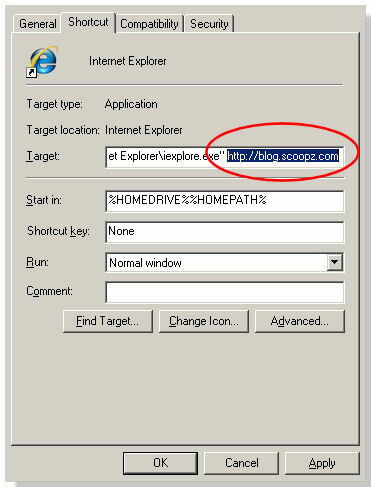 In this example I have chosen Internet Explorer (see icon to the left). Next right click on the shortcut you just created and select properties from the popup menu. This should then load the shortcut’s properties page. All you need to do now is click on the target field in the properties page and scroll to the very end (or hit the End Key on the keyboard). 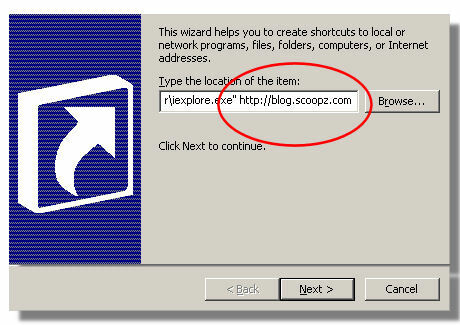 You now need to type the URL that you wish to open at the end of this field, in the example to the right I have chosen http://blog.scoopz.com and appended this to the end of the target. Leave all the other settings the same for now and that’s the new shortcut done. From this shortcut page you can easily choose a Shortcut Key combination (CTRL+ALT+B, etc) to launch your shortcut instantly and choose whether to open the web page in a maximised, minimised or normal sized window. For those with other browsers, different operating systems or just updated versions with different paths try just copying the shortcut from your start menu to your desktop (via drag & drop) and them appending the new shortcut with the URL. Thanks for the heads up Xygris.